Lets Be Clear GA - Clear GA - Marijuana Abuse Prevention in Georgia	Let's Be Clear Georgia – A collaborative to prevent marijuana abuse. Is "Big Marijuana" really representing the interests of Georgia citizens and businesses with recent legislation attempts? Or are they trying to create a 2nd “Big Tobacco,” that is not only addictive but also psychoactive? Pay Your Annual Membership Dues By Clicking Here! Senator David Shafer ASAP. Click Here for more details. Sally's son, Andy, committed suicide after becoming addicted to marijuana. In his suicide note, he said "Marijuana killed my soul and ruined my brain." ​Please download and distribute free, downloadable counter-ad from Let’s Be Clear GA. Please contact Dr. Raduka at admin@clearga.org if you would like to put your organization’s logo on the infographic. ​Idaho is surrounded by marijuana-legalized states. DrugFree Idaho has implemented a marijuana education campaign including billboards, TV commercials, and radio commercials using data from legalized states. The largest part of this campaign has been the documentary they filmed and released this summer. The film crew visited surrounding states to get stories from key informants on the outcomes their state has experienced following legalization. They have shown this documentary in high school health classes, with school counselors, principals, and other staff. Outside organizations have also used the documentary in educational settings so they are sharing their documentary in case anyone may find it useful. Please click here to watch/use the documentary, Chronic State. 5 minute news video from Ohio featuring a mother who lost her daughter to a driver impaired from Marijuana (THC). 1/3 of the Drugged Driving arrests in OH last year were due to Marijuana (THC). The Video also features a Drugged Driving Summit sponsored by Triple A (AAA). THC, Marijuana, and Driving Stoned, January 16, 2019. 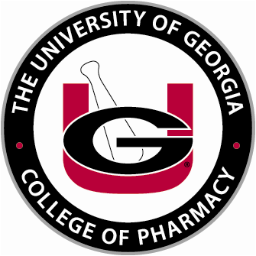 At the request of Let's Be Clear Georgia, Dr. Henry Young with the University of Georgia's College of Pharmacy, issued a report rank-ordering Georgia's public school systems in terms of student 30 day use of marijuana (6th - 12th grades). The study utilized data from the 2016 GA Student Health Survey (GSHS 2.0). Of interest were the 5 school systems with the highest 30 day prevalence percentages. The school system ranked #1 is in metro Atlanta. County school systems ranked #2, #3 and #5 are all in middle Georgia. School system #4 is located in southwest Georgia. If you live or work in the area served by one of these school systems, please notify them of their ranking. To download Dr. Young's 2018 Report please click here. Clear does not hold these school systems responsible for such use, but does highly recommend these systems putting marijuana prevention programs in place if they do not already have them. ​Click here to read her full BIO. Conceptual fit: Is the intervention relevant and logically connected to identified risk factors and outcomes? Practical fit: Is the intervention appropriate given the culture of a particular community, taking into account community readiness, the community’s population, and general local circumstances? Strength of evidence: Is there sufficient documented evidence to support the strategy’s efficacy? ​Click here to read the current document which summarizes the strength of evidence found in the literature for strategies that may affect the initiation, escalation and consequences of marijuana use. ​Click here to view Mrs. Strutner's 2018 Let's Be Clear Georgia Annual Prevention Summit presentation. ​​Findings: 1514 participants completed the baseline interview and were included in the study from Aug 20, 2012, to April 14, 2014. Cannabis use was common, and by 4-year follow-up, 295 (24%) participants had used cannabis for pain. Interest in using cannabis for pain increased from 364 (33%) participants (at baseline) to 723 (60%) participants (at 4 years). At 4-year follow-up, compared with people with no cannabis use, we found that participants who used cannabis had a greater pain severity score (risk ratio 1·14, 95% CI 1·01–1·29, for less frequent cannabis use; and 1·17, 1·03–1·32, for daily or near-daily cannabis use), greater pain interference score (1·21, 1·09–1·35; and 1·14, 1·03–1·26), lower pain self-efficacy scores (0·97, 0·96–1·00; and 0·98, 0·96–1·00), and greater generalised anxiety disorder severity scores (1·07, 1·03–1·12; and 1·10, 1·06–1·15). We found no evidence of a temporal relationship between cannabis use and pain severity or pain interference, and no evidence that cannabis use reduced prescribed opioid use or increased rates of opioid discontinuation. ​Drug Free America Foundation is sending a letter to legislators in states where the marijuana lobby is pushing a false and dangerous narrative that marijuana is an antidote to the opioid epidemic confronting the United States. Medical experts, in fact, say the opposite is true. ​While both Let’s Be Clear Georgia and Let’s Get Clear Georgia engage in policy education, should you be interested in more direct ways to influence legislation and policy please visit LetsGetClear.org for more information. As the cultural sands dramatically shift in America we are witnessing a halting, erratic movement toward the legalization of marijuana. ​Unfortunately, the medical profession is being drawn into the middle of this controversy. Beware! This is not a scientifically produced, carefully controlled medication extracted from a plant. Bertha Madras, PhD, Professor of Psychobiology, Department of Psychiatry at Harvard Medical School, presented at CADCA's National Leadership Plenary. Dr. Madras discussed the importance of using science to inform the public about marijuana's harm. "This is not a war on drugs. It's a defense of our brains," she said during her popular keynote. Click Here to learn more about the Let's Be Clear Georgia collaborative efforts by downloading our Let's Be Clear Georgia Collaborative Brochure. Any drug that enters the brain has the potential to affect normal brain development. Marijuana is no exception. When marijuana is used, its active ingredient, THC – the strength of which has grown exponentially in the past few decades – alters perceptions and mood, impairs coordination, creates difficulty with thinking and problem solving, and disrupts learning and memory. Much like with alcohol, use of marijuana can have negative impacts on productivity and safety, with negative consequences for employers and other employees. Workers who smoke THC are more likely than their coworkers to have problems on the job, including increased absences, tardiness, accidents, workers compensation claims, and turnover. Source: Susan Blank, M.D. Atlanta Healing Center LLC, Georgia School of Addiction Studies, August 26, 2014. Zwerling, C.; Ryan, J.; and Orav, E.J., The efficacy of pre-employment drug screening for marijuana and cocaine in predicting employment. Journal of the American Medical Association. 1990 Nov 28;264(20):2639-43. Marijuana doubles your risk of a car crash because it significantly impairs judgment, motor coordination, and reaction time. Components of marijuana may have medicinal value, but smoked marijuana has never met the requirements to be labeled a medicine. Just like we don’t smoke opium to get the effects of morphine, we do not need to smoke marijuana to derive its possible medical benefits. Source: Institute of Medicine, Marijuana and Medicine: Assessing the Science Base, 1999, National Academy Press. Epidemiological studies have shown that as the frequency of marijuana abuse increases, so does the risk for a psychotic disorder such as schizophrenia. Source: Moore TH, Zammit S, Lingford-Hughes A, et al. Cannabis use and risk of psychotic or affective mental health outcomes: A systematic review. Lancet 370 (9584):319–328, 2007. The Marijuana that is being sold on the street and the Cannabis being discussed for legalization in the news is in fact the same exact plant. Marijuana/Cannabis is classified by the DEA as a Schedule I drug which is a substance, or chemical which has been defined as a drug with no currently accepted medical use and a high potential for abuse. Schedule I drugs are the most dangerous drugs of all the drug schedules with potentially severe psychological or physical dependence. Drug addiction is a disease of the brain that compels a person to become singularly obsessed with obtaining and abusing drugs despite their many adverse health and life consequences. Human brains begin functioning long before they are fully developed. We begin experiencing the world and develop our sense of identity with very immature brains unable to understand abstract reasoning or the realistic consequences of our actions. At puberty the brain undergoes a stunning growth of new connections and the brain continues to grow and undergo important development until the age of 25. “Cannabis sativa” is the Latin name used in biology for the marijuana plant. It has been cultivated as a source of fiber, oil and food, and for its medicinal and intoxicating properties. Selective breeding has produced cannabis plants for specific uses, including high-potency marijuana strains and hemp for fiber and seed production. There is no reason to think laws limiting marijuana to adults will be any more successful than comparable laws for cigarettes or alcohol. Legalization will likely increase the already substantial proportion of teens that use marijuana regularly and thus put themselves at a competitive disadvantage in school and life. Federal law makes it illegal to grow marijuana. The penalties for growing marijuana depend on whether you are charged under Federal or State law, which largely depends on the amount of marijuana you are growing and if other crimes are involved. Everyone feels pain differently and nobody can know what somebody else's pain is like. This can make it difficult to define and prescribe proper pain medications. The word chronic, however, refers to the persistence of pain lasting for more than three months and generally remaining after an injury has healed. Workers who smoke THC are more likely than their co-workers to have problems on the job, including increased absences, tardiness, accidents, workers compensation claims, and turnover. Workers who had positive pre-employment drug screens had 55% more industrial accidents, 85% more injuries, and 75% increase in absenteeism. "Youth who perceive marijuana use to be risky are less likely to use drugs than youth who perceive marijuana as non-risky." As perceived harm of marijuana drops, use goes up. It’s important to know as much as possible about “Big Tobacco” and teenage smoking patterns and attitudes to in order to understand why the marijuana industry, like the tobacco industry, also targets youth. According to Phillip Morris, “Today's teenager is tomorrow's potential regular customer, and the overwhelming majority of smokers first begin to smoke while in their teens . . . it is during the teenage years that the initial brand choice is made. The average potency of THC in marijuana has significantly increased since 1983.1 Today’s marijuana is 300%-800% more potent than the marijuana of years ago. This is not the same “Woodstock weed” that baby boomers and Generation Xers used. Testing by labs is finding that Marijuana is far more potent than the 4% it used to be in the 1980s. Current potency values have been documented up to 36% THC. According to the National Institute on Drug Abuse, studies show that marijuana use interferes with attention, motivation, memory and learning. Students who use marijuana regularly tend to get lower grades and are more likely to drop out of high school than those who don’t use. Heavy use of marijuana – that is, marijuana with high amounts of THC – has been linked to decreased fertility in both men and women. In females, there is evidence that marijuana use may disrupt the menstrual cycle. In males, marijuana is thought to decrease sperm quality and testosterone levels. It is also thought to decrease the ability of sperm to move quickly and has been linked to sperm abnormalities. These factors can make it difficult for a woman to become pregnant. There have been a number of studies that have explored the link between marijuana use and mental health symptoms. Findings in these studies have connected chronic marijuana use and mental illness. In sufficient doses, marijuana can cause psychosis, a state of mind characterized by the inability to distinguish between what is real and what is not. Young people who smoke marijuana may be at risk of “major” changes to the area of the brain that regulates motivation, a new 2014 study by Harvard University and Northwestern Medicine claims. In the study, brains of 40 young adults were scanned (half were non-users and half reported smoking for 1-6 years and showed no signs of dependence). Heavy use of marijuana can have long-term consequences on life. The National Institute on Drug Abuse (NIDA) reports that heavy marijuana smokers suffered damage to social life, education, employment and careers as well as physical damages to their brains and bodies. In 1980, the Georgia General Assembly passed a medical marijuana law, but it was never implemented. Since 1996, 20 states and Washington, DC have passed laws allowing smoked marijuana to be used for a variety of medical conditions. Some of those states have legalized marijuana for recreational use. It is important to recognize these state marijuana laws do not change the fact that using marijuana continues to be an offense under Federal law. Marijuana remains the most widely used illicit substance in the United States. Long-term marijuana use can lead to addiction; that is, people have difficulty controlling their drug use and cannot stop even though it interferes with many aspects of their lives. About 9% of adult users become addicted to marijuana and that number increases among those who start young and among people who use marijuana daily. One in six adolescents who try marijuana get addicted. Marijuana affects the heart. The heart rate is raised 20-100% shortly after smoking, an effect which can last up to three hours and put users at an increased risk of heart attack. In one study, it was estimated that marijuana users have a 4.8 - fold increase in the risk of heart attack in the first hour after smoking the drug. This risk may be greater in older individuals or in those with cardiac vulnerabilities. Marijuana smoke is an irritant to the lungs, and frequent marijuana smokers can have many of the same respiratory problems experienced by people who smoke tobacco. ​​Per Tom Gorman, Director of Rocky Mountain HIDTA, High Intensity Drug Trafficking Area, a federal law enforcement entity located in Colorado, you are welcome to use any of the material in this report, including copying graphs and charts for PowerPoint presentations. You do not have to credit RMHIDTA but please include the source of the data. I welcome any input, suggestions or questions regarding the report. Why the High THC in Georgia’s “Low” THC Oil? A new study found that one in six infants and toddlers admitted to a Colorado hospital with coughing, wheezing and other symptoms of bronchiolitis tested positive for marijuana exposure. Click Here to learn more. The National Alliance for Model State Drug Laws (NAMSDL) has updated its report on State medical marijuana legislation. The report summarizes ongoing and future efforts to regulate medical marijuana at the State level. The updated medical marijuana report follows last week’s updates on follow-up, decriminalization, and personal non-medical use marijuana legislation. Click here to read a﻿ letter from Dr. Amy Brooks-Kayal, President of the American Epilepsy Society and a Colorado pediatric neurologist, to the Health Committee of the Pennsylvania House of Representatives. The letter describes a scientific study of the negative effects of artisanal CBD oils, similar as Georgia’s “low” THC oil (containing as much as 5% THC) on 20% of children with epilepsy that were studied. Cannabis sativa (marijuana) is the illicit drug most commonly used during pregnancy. The self- reported prevalence of marijuana use during pregnancy ranges from 2% to 5% in most studies. A growing number of states are legalizing marijuana for medicinal or recreational purposes, and its use by pregnant women could increase even further as a result. Because of concerns regarding impaired neurodevelopment, as well as maternal and fetal exposure to the adverse effects of smoking, women who are pregnant or contemplating pregnancy should be encouraged to discontinue marijuana use. Obstetrician–gynecologists should be discouraged from pre-scribing or suggesting the use of marijuana for medicinal purposes during preconception, pregnancy, and lactation. Click here to download a free copy. 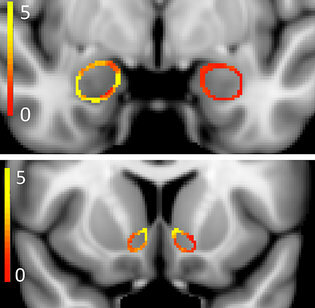 Among early-onset users, continued years of Marijuana use and current Marijuana consumption were associated with thicker cortex, increased (GWR) Gray–white matter ratio and decreased (LGI) local gyrification index. Late-onset users exhibited the opposite pattern. This divergence was observed in all three morphological measures in the anterior dorsolateral frontal cortex. Conclusions: Divergent patterns between current MariJuana use and elements of cortical architecture were associated with early Marijuana use onset. Considering brain development in early adolescence, findings are consistent with disruptions in pruning. However, divergence with continued use for many years thereafter suggests altered trajectories of brain maturation during late adolescence and beyond. Click here to download a free copy of the Early Adolescent Marijuana Use study. The State of Marijuana Use in Georgia: A Secondary Needs Assessment -Issued by the School of Public Health, Georgia State University, June, 2015. 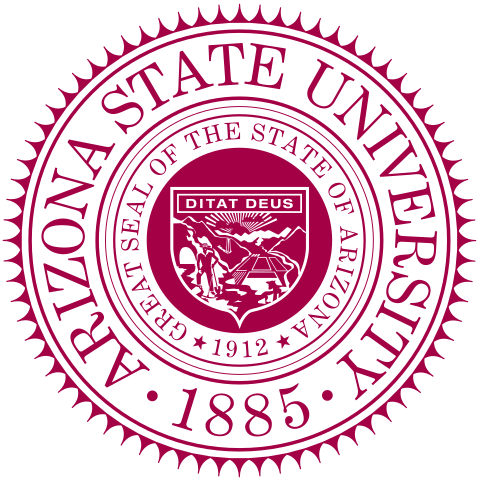 Dr. Madeline Meier, Professor at Arizona State University, commented on two studies regarding IQ and marijuana use. Dr. Meier stands firm by her previous research showing an up to 8-point reduction in IQ among heavy marijuana users. Click ﻿H﻿ere to download a free copy. This is a Georgia study regarding voter opinion as to whether recreational marijuana should be legalized in Georgia – issued by Bason Research. Issued by Aegis Sciences in 2015, The Marijuana Project is a clinical rebuttal of the deceptive and often contradictory marketing narrative of the marijuana special-interest groups. It is a succinct resource in booklet format of peer-reviewed literature with an appropriate combination of scientific and medical documentation. Is It Safe To Smoke Marijuana While Pregnant? Rumors abound that marijuana has no effect on the unborn child, and that it is safe to smoke while pregnant. But research has shown that marijuana use by a mom can cause numerous adverse effects on newborns and growing children. Some effects can linger into adulthood. "We [NORML*] are trying to get marijuana reclassified medically. If we do that (we'll do it in at least 20 states this year for chemotherapy patients) [we] will be using the issue as a red herring to give marijuana a good name. That's our way of getting to them . . ."
Source: Quote from Kenneth Stroup, founder of NORML (National Organization for the Reform of Marijuana Laws) from an interview with him which appeared in the Emory Wheel student newspaper on Feb. 6, 1979 (pp. 18-19). Georgia passed its first marijuana law in 1980. ​Why Ohio voted against legal marijuana — and what it means for the future of the pot debate. Let's Be Clear Georgia is 1 of more Than 1,000+ Groups nationwide who are Working to Prevent Alcohol, Tobacco, Marijuana, and Other Drug Use by Youth. To learn more about other groups around the United States click here. If you are in the state of Georgia and would like to contribute your talents or make a donation learn more below. The gulf has never been greater between the scientific understanding of marijuana’s harms and the public’s misunderstanding of those harms. But prevention can change that! Georgia citizens, educators and business owners need to be heard loud and clear when it comes to protecting our children, families, employees and drivers across the great state of Georgia from the dangers of Marijuana. Join us today to make sure that a unified voice is heard or make a donation to support the cause! © Copyright 2018 - Let's Be Clear GA - A Collaborative to Prevent Marijuana Abuse. All rights reserved. ​Help to continue the extremely important work of Let’s Be Clear Georgia. Please know that membership dues are mandatory in order to be a member in good standing. However, dues have been set at minimal levels and partial scholarships are available for those who cannot afford to pay the full amount. One may still be a member of Clear without paying dues, but not a member in good standing. If, for some reason, your organization or you cannot become a Clear member, we ask that you please make a tax-deductible donation to Clear, a 501 (c) (3) organization. Please see below to ​make a donation online by credit card ​and thank you very much for your support! * Fields that have an asterisks represent required fields.